Who is Likely to Get Addicted to Marijuana? One of the primary issues for marijuana legalization opponents is the potential public health risks, including addiction. While four states have now legalized pot for recreational use, others have decriminalized possession and paved the way for medical use. But is pot really addictive? Does it have chemically additive quality? Is it just a mental rather than a physical addiction? According to one user who published his first-person account of marijuana addiction in the Chicago Tribune, the drug is highly addictive and can be very problematic for young persons and into adulthood. According to the 2013 Edition of the Diagnostic and Statistical Manual of Mental Disorders records, 17 percent of those who smoke pot as teenagers can become addicted to marijuana. 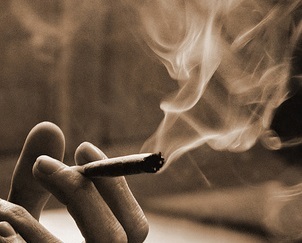 National surveys show that up to half of marijuana users who smoke daily are addicted. This is an estimated 2.7 million users in the U.S. But, what are the real risks? Should medical marijuana users hesitate before deciding to follow doctors’ orders? Should legislators take these statistics into consideration before passing laws? Will Congress weigh these statistics when deciding whether to legalize the drug? The role addiction plays in marijuana use is a critical issue for opponents and a point of contention for reform advocates. There are a number of potentially problematic issues with long-term marijuana use, including distractions, mood disorders, loss of motivation or energy, even thoughts of suicide. Many addicts are the type of people who already suffer from mental or emotional disorders, making them more susceptible to addiction and self-medication. For those who have been addicted to marijuana, quitting can take therapy and years of struggle. In addition to the risks of addiction, many opponents say long-term marijuana use can also pose other safety risks. Many individuals have suffered from overdose or other injuries related to smoking marijuana, including slip-and-fall accidents, car accidents and other issues, including lost or stolen property. Victims of sexual assault have also reported that they were high, making them more vulnerable dangerous situations. Others have been involved in physical altercations after smoking pot. Like alcohol use, loss of inhibitions related to pot can create serious risks and hazards. Marijuana has only been legal in Colorado for a year, but two recent deaths have been linked to smoking pot. According to police a 47-year-old man consumed marijuana-infused candy and shot his wife. Another 19-year-old student ate a marijuana cookie and was killed when he jumped from a hotel balcony. Some critics believe these incidences are on the rise because pot is stronger than it was in the past. In addition to smoke-able products, edibles can be 10 times stronger than a joint. Of course, addiction and the reaction to pot will depend on the individual, including age, weight, what you have consumed, medication combinations and your own personal chemistry that could give rise to a very strong reaction to pot. Studies show the likelihood of a car accident doubles when drivers are under the influence of pot. A Columbia University study found that marijuana contributed to more accidents than any other drug, resulting in 12 percent of traffic deaths in 2010. If you are a pot user, know the risks and your own limits. Our Orange County medical marijuana attorneys are dedicated to protecting the rights of dispensary owners and users. We can aggressively defend your interests in the event of an investigation or criminal charge.